The 3s meta has largely been stagnant for the last few months as the map loses player base to the broader Summoner's Rift. However, as per tradition let's take a look at the meta at the start of the season. We're clearly seeing a lot of overlap with the Summoner's Rift meta, but the old faithfuls like Poppy and Morgana continue to be high priority picks here. Meanwhile, Zoe is drawing a lot of bans, but does considerably worse than in her 5v5 universe, likely because of the lack of enemy summoner spells which reduces her utility by quite a bit. Garen [Tier 1 Solo Top] - Garen has the potential to be a God Tier top laner, but I've taken him down a notch simply because he has some trouble against 1v2 lanes. As a result, you can pick him when you see the enemy team is going solo top comp but may want to avoid him in the 1v2 lane. As a non-flexible pick, he works as a counter but not as a first pick every time. Kayn [God Tier Jungle] - Although the jungle meta isn't particularly favored at higher divisions, it works for the majority of cases and is the simplest one to pull off without good coordination. Kayn has more wallspace than ever to work with on this map, and as a result performs exceptionally well as long as he doesn't fall behind against tanks. Malzahar [God Tier AP] - Malzahar's strategy on this map is extremely difficult to beat, which involves spamming the wave, controlling the relic, and locking down one person (out of three). Overall, I'd say he's the best single pick for bot lane but can still be beaten with some coordination and a QSS. Morgana [God Tier AP] - The rework actually helps Morgana quite a bit. She can stay in lane for even longer than before, and doesn't really need the relic to do so. This allows your jungler to pick it up for additional sustain while she continuously pushes waves in. Her early game ganking power is also better than Malzahar's, and does happen to counter him if you're running a top lane carry comp. 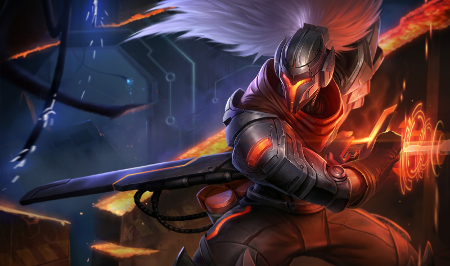 Yasuo [God Tier Top] - Yasuo is particularly good on Twisted Treeline as he can run in any composition and doesn't give away what your team's strategy is by picking him. He could even go bot lane and be fairly effective, making him a great first pick...provided someone on your team can play Yasuo. Zoe [Tier 1 AP] - Zoe doesn't get quite as many summoner spells on this map, and also has some trouble getting a good shot off as a result of the lack of vision. Her jumps also don't provide her much of an advantage here as the walls are too large, but her E does gain some incredibly travel distance. This makes her ganks very effective without her needing to go too far. The main issue on the other hand, is that her push power early game isn't very good. This means your team may be at either a level disadvantage if she gets pushed in too hard and the enemy team invades.